You are going to order promotional products with imprint. What do you need to know? We hope to answer your questions with the information below. However, if you require any additional information, please click the links or contact us. On our product pages you, as a partner, can see how many products are currently in stock at our facility as well as when new stock is arriving. This can be found here. 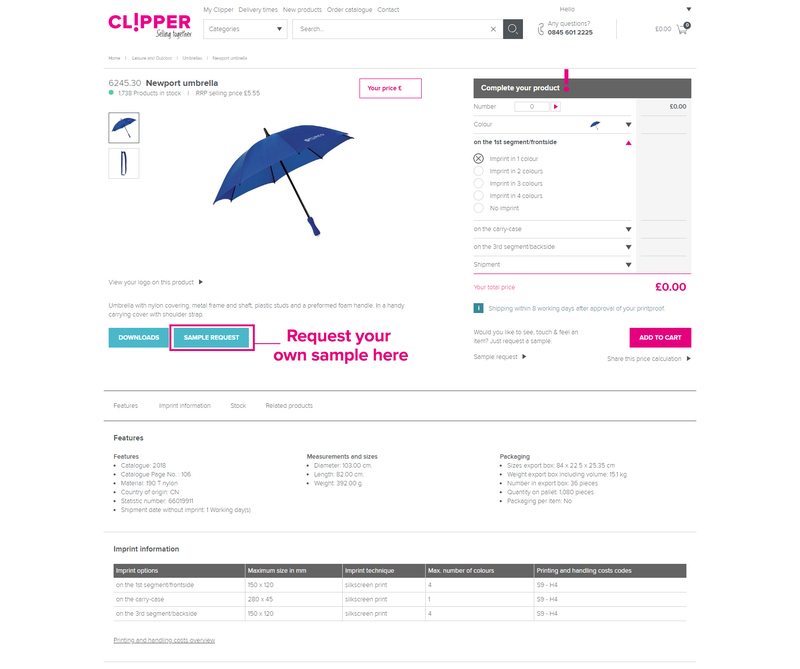 If you would like to see, touch and feel a product before you order a bunch of them, you can request a sample on the product page. We have a special page dedicated to our sampling service, that page can be found here. If you want to find out how you can order a sample, this option can be found here. You are able to order your products easily via email, internet or telephone. 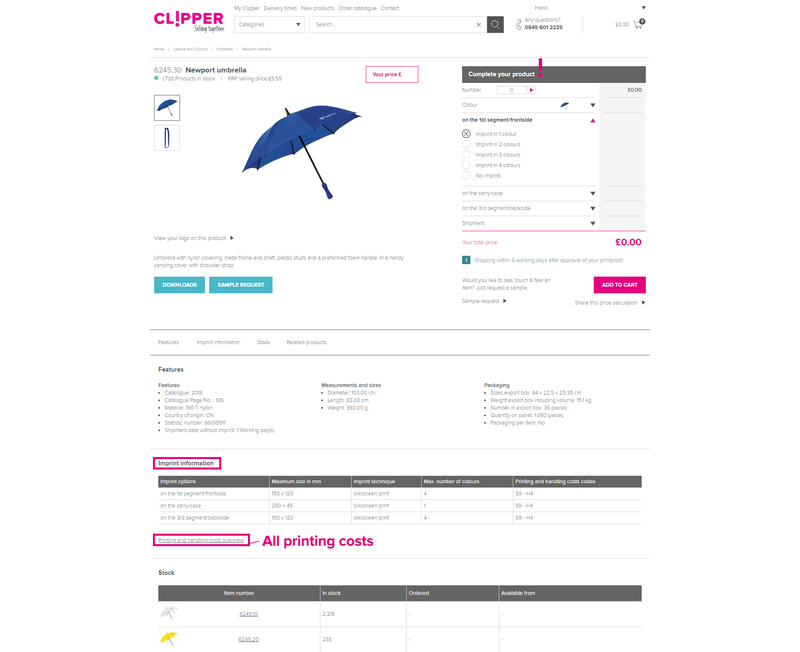 If you like the fast and simple webshop method then go to the product page of your choosing and fill in the ''Complete your product'' table. This table will automaticall fill out what your order will cost you. Information about filling the table, for a product with imprint, can be found here. You can order your product with or without imprint very easily by email, internet or telephone. 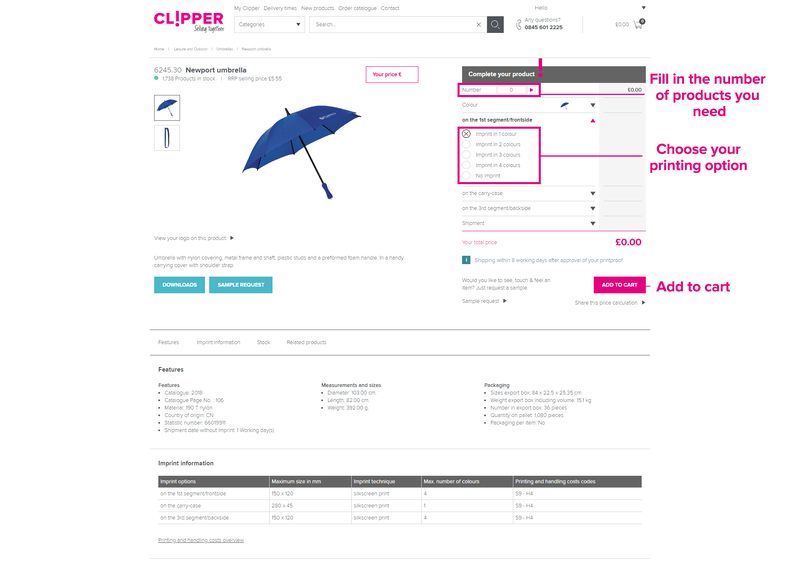 If you like the fast and simple the webshop method then go to the product page of your choosing and fill in the ''Complete your product'' table. This table will automaticall fill out what your order will cost you. 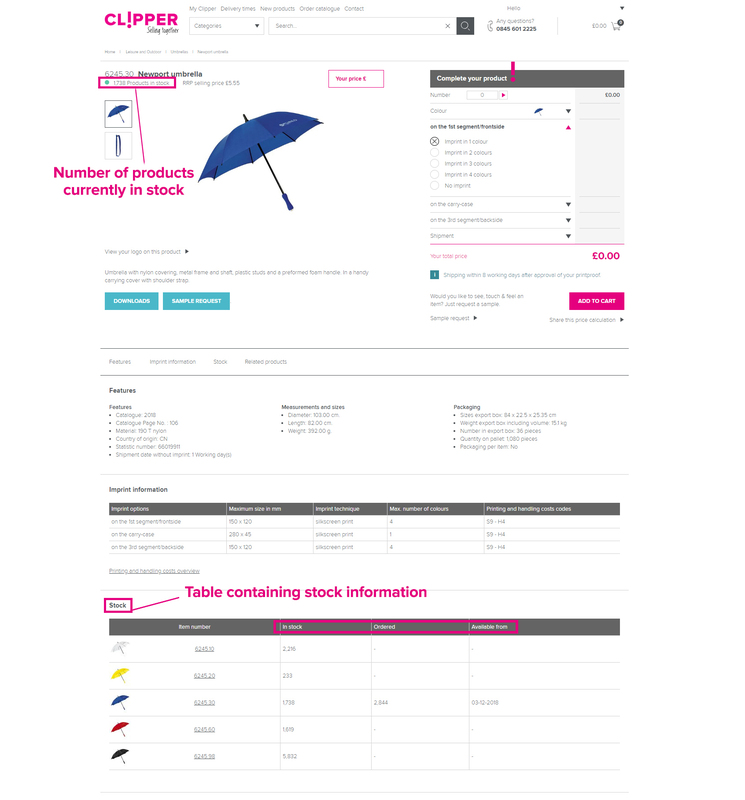 Information about filling the table, for a product without imprint, can be found here. Please select a standard letter type by stating the corresponding letter from the letter type table and select the desired imprint colour. In case your customer wants a different colour than standard, please provide the preferred PMS colour and we will match this colour as closely as possible. All the required print information can be found on the product pages. The table will provide you with all the imprint options: size, technique, number of colours and the printing and handling costs overview. This table is located here. Within 24 hours after we received your order, you will receice an order confirmation with print proof. Please check your order this thoroughly and contact us immediately if you see any mistakes. There is no minimal decrease. For each product, you can always reduce the amount you want. We may pass an order surcharge at a low order value. You can read our digital general terms and conditions of sale and delivery. On request we will send you a copy. Stated prices include packaging, but exclude VAT and shipping costs. Standard payment terms are within 30 days and after that term we charge 2% credit limit fee. The closing credit period is 30 days after the invoice date. We cannot accept any responsability for any possible model and price changes, deviations in colour, apparent misprints and legal levies. Despite our careful processes it may occur that we over-deliver or make a shortfall. This is always limited to 4%. The lead time for production starts after you approved the print proof. This lead time is in consultation with you and does not include transportation time from our distribution center. The average shipping time for standard packages and pallets is 1-2 working days. Orders without imprint and sample requests placed before 12.00 pm will be shipped the same day.